CONTACT US We are sure that you will enjoy our product. If for whatever reason you are not fully satisfied please CONTACT US and we’ll guarantee to help. 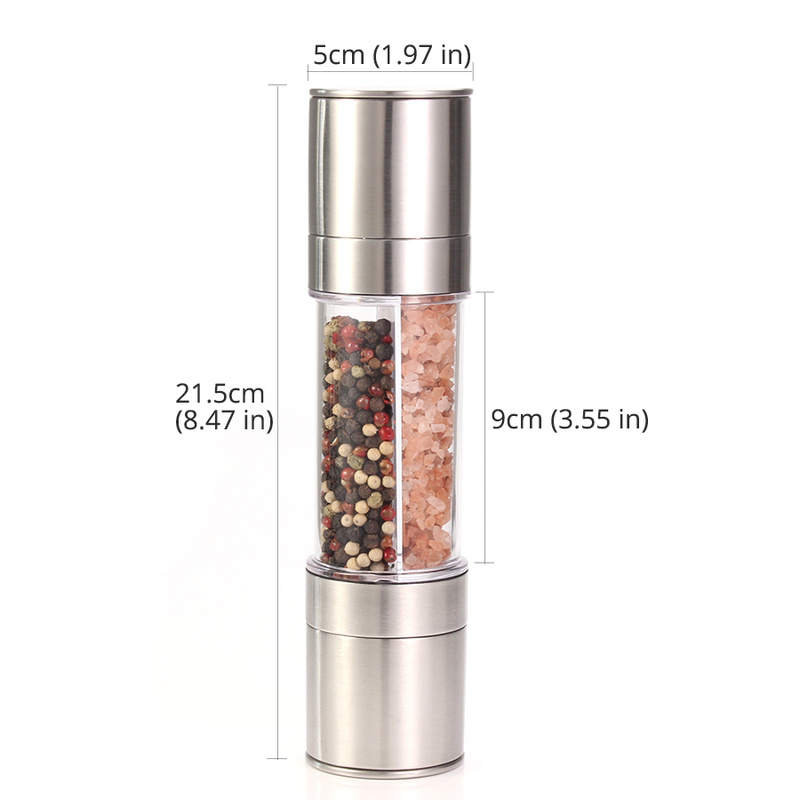 WHY YOU SHOULD CHOOSE OUR SALT AND PEPPER MILL? Our mills are made of highest quality food grade components. 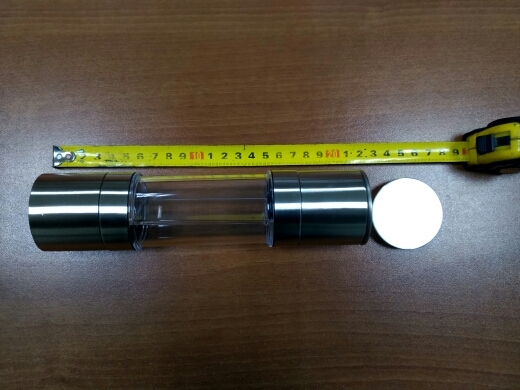 Stainless steel body:This material is great for durability and will never develop rust. Plastic and Acrylic:The advantage of these materials is that they are quite tough and easy to clean. 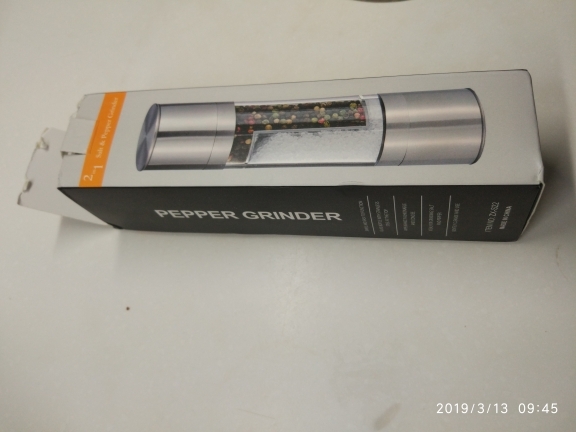 100% ceramic mechanism: Ceramic mechanism allows you to grind all kinds of salt, pepper and spices. 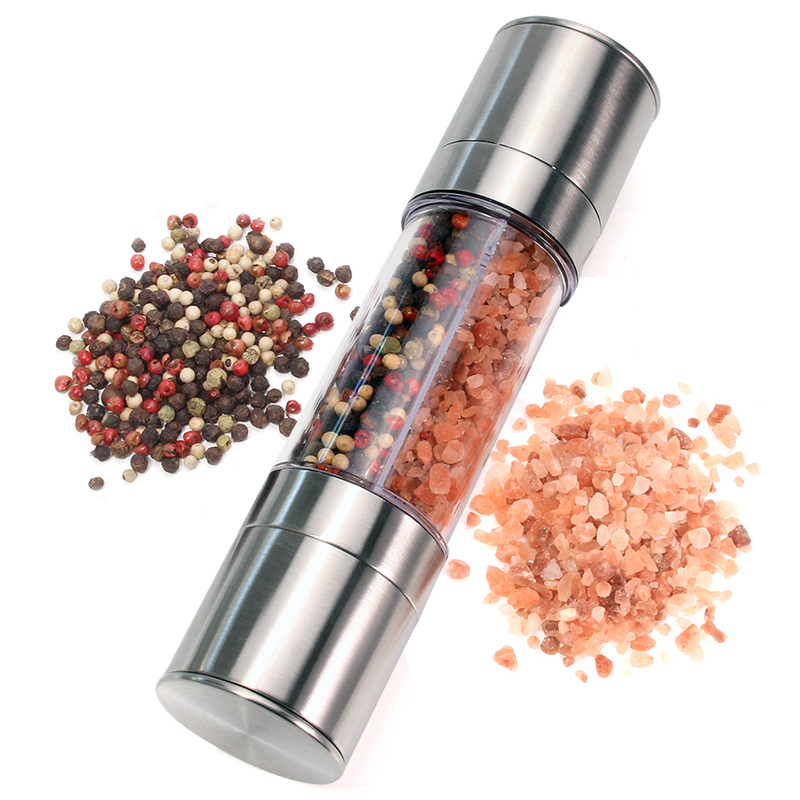 Our salt and pepper grinders allow to change the settings of coarseness from very fine to very coarse. 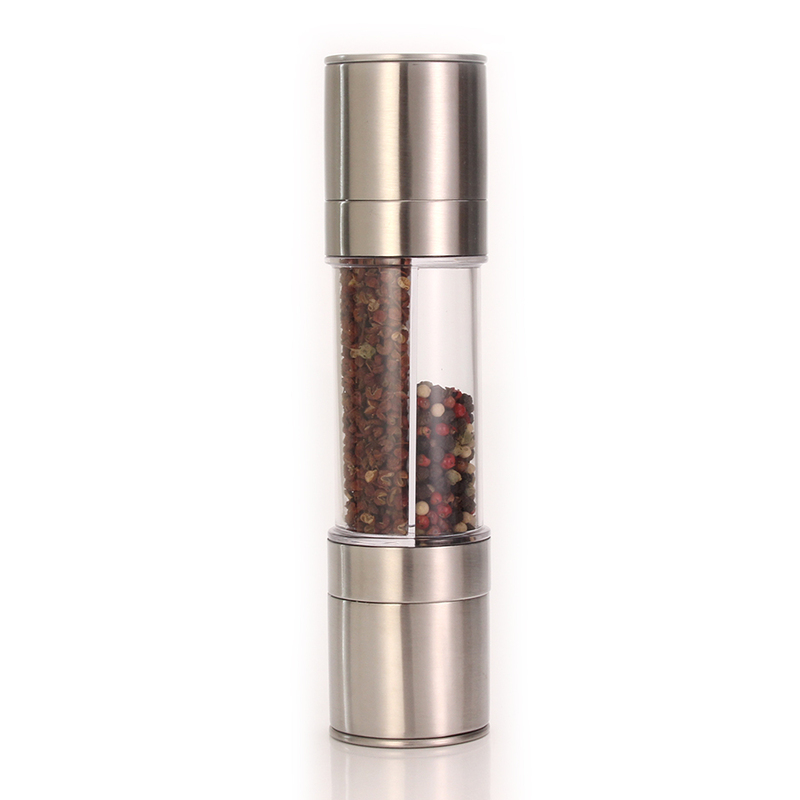 Our combo salt and pepper mills are not only very comfortable, but also are an important part of the interior of the modern kitchen. They can will highlight any design from classical to the present Hi-tech. They looks great on your kitchen countertop, dining table or restaurant table. 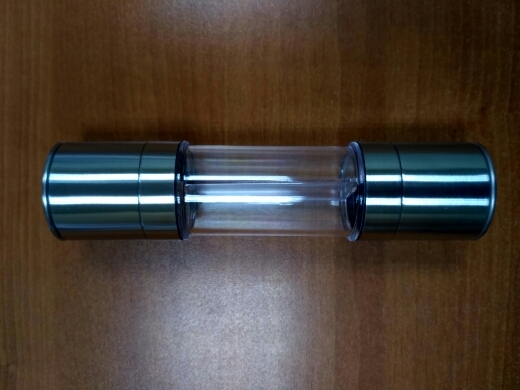 Through the acrylic viewing windows you can always control the fullness of your mill for salt and pepper. 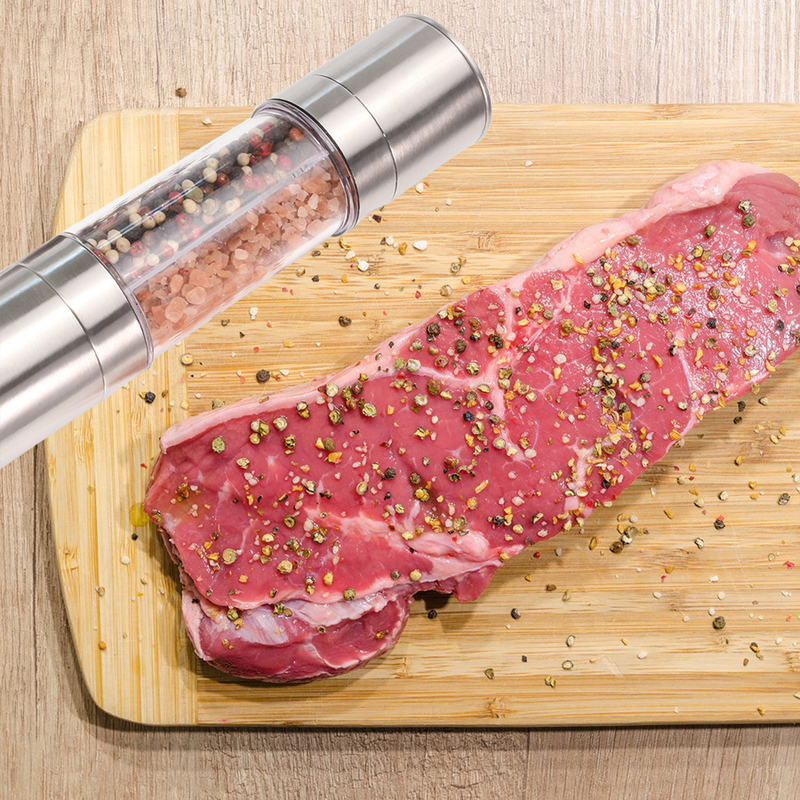 HOW TO USE OUR SALT AND PEPPER MILL? 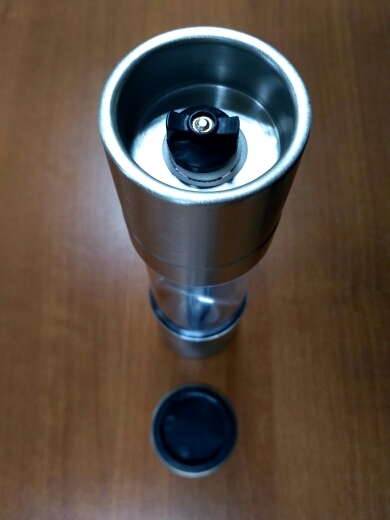 Turn the body and unscrew the part with grinding mechanism. 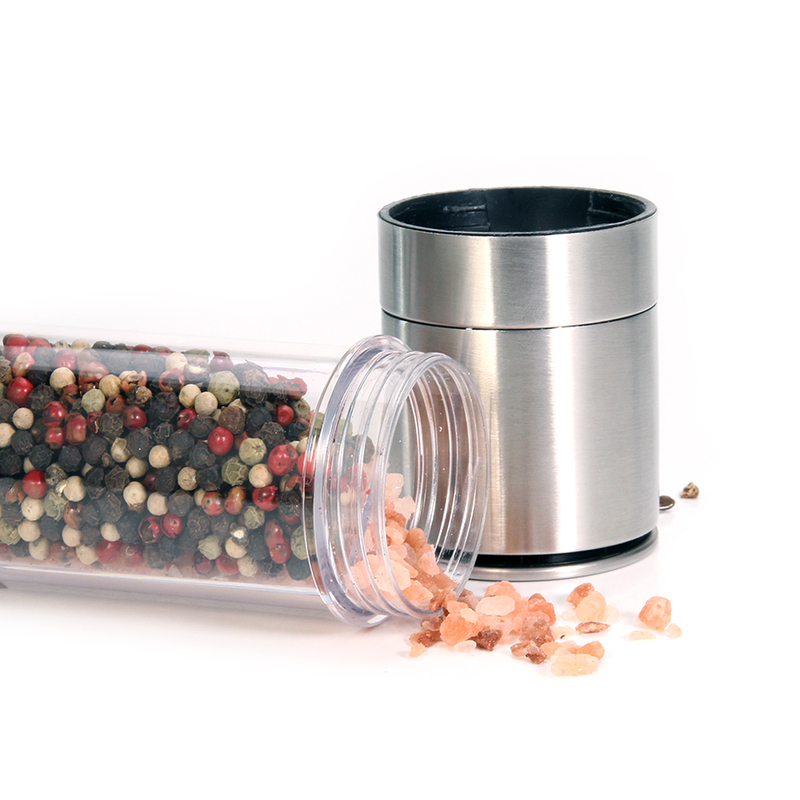 Fill the acrylic container with the spices you want. Screw the part with grinding mechanism. 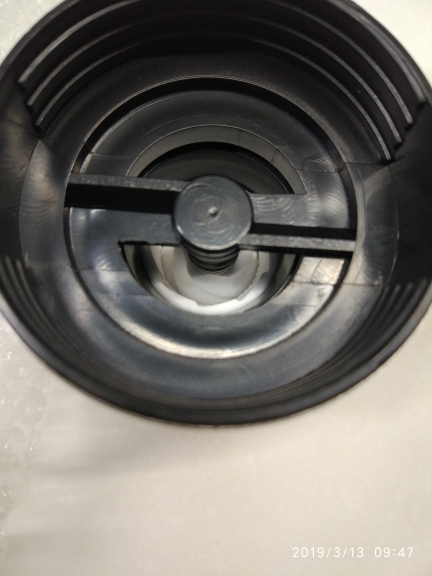 Open the cover on the top and adjust the grinding degree by turning the ceramic gear. By twisting the top the necessary portion of spices is easily grinds. Then repeat all operations with the second side. Corresponds to the description on the site. The appearance is very pleasant. Framing of thin stainless steel. 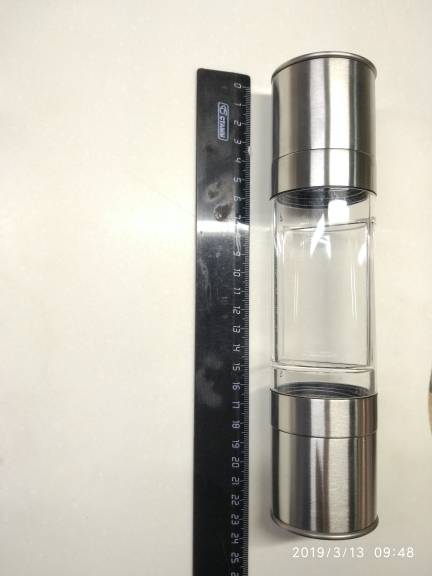 Plastic flask. 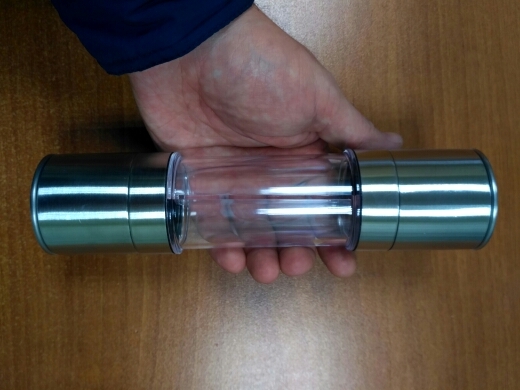 The mechanism, unfortunately, is also plastic. For salt, the wash is not very good. Works great. 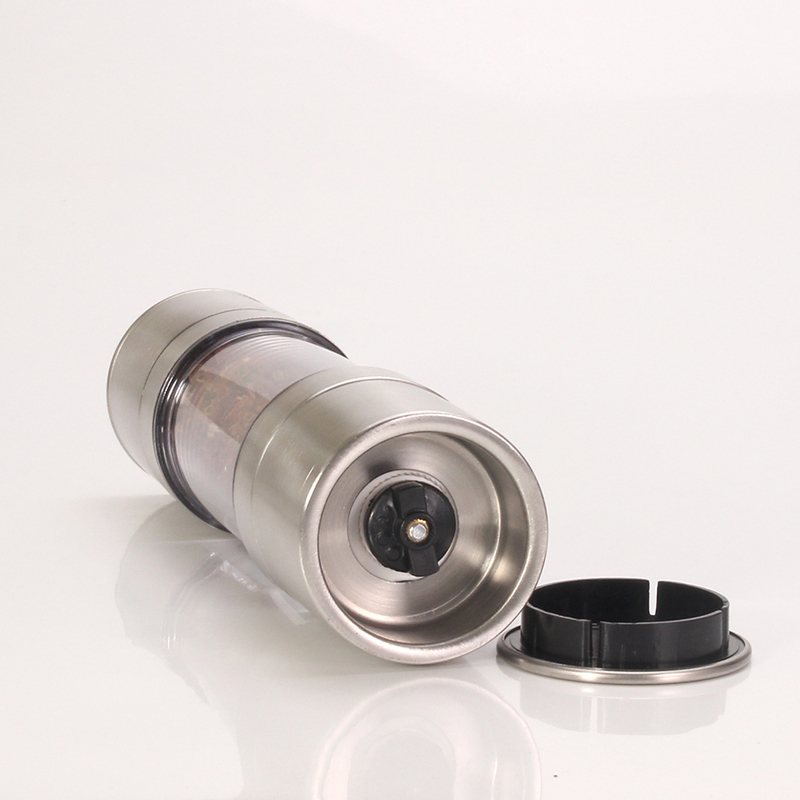 There is grinding adjustment. Delivery in 17 days. 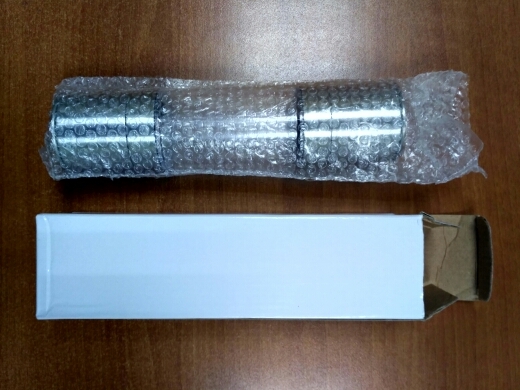 Good quality order. I recommend buying. Delivery in 17 days. 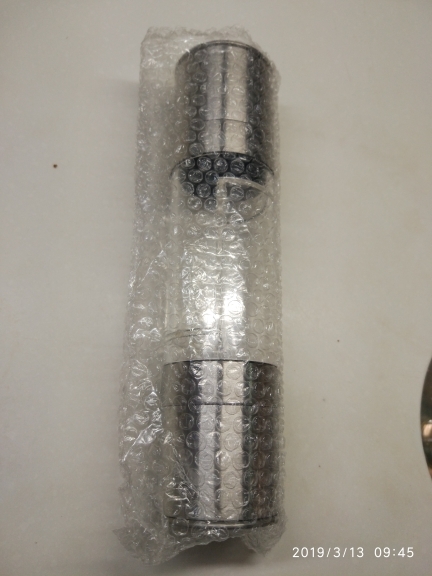 Order good quality. I recommend buying. Excellent double pepper. Exactly as stated.